The rusting relics of Southampton's former luxurious flying boat industry. They cost Imperial Airways £140,000 to build in 1948, but these tragic-looking and surprisingly watery relics of the “golden age of air travel” are all that remain of Southampton’s heritage as an early airport. A cruise ship retraces the the route of the doomed RMS Titanic, 100 years later. A half-mile-long stretch of medieval forts built after a devastating pirate attack persists amid the modern port city. The arrow-straight estuary called Southampton Water is well-protected from the swells and waves of the English Channel, which made this unusually calm and sheltered six-mile long tidal stretch ideal for the taxi, take off, and landing of flying boats. 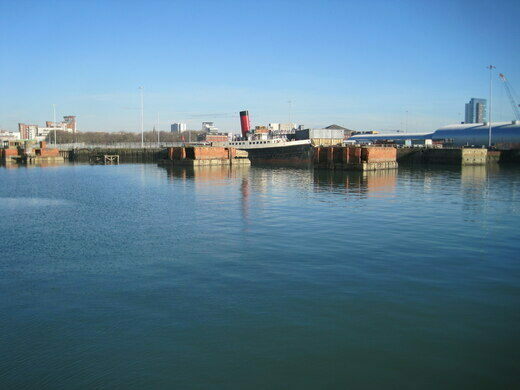 For a time, regular services departed Southampton Water on far-flung intercontinental voyages. Small yet exclusive numbers of wealthy globetrotting passengers could be delivered in style to far-off destinations without the need to develop costly new infrastructure like runways. With multiple stopovers in the exotic territories of the moribund British empire en-route, the sedate and opulent flying boats had saloon bars, restaurants, and personal cabins on board to keep passengers entertained in luxury during the low-altitude voyage. The much-feted completion of the new Marine Air Terminal in 1948 marked a glamorous return of these airborne leviathans after a brief wartime hiatus, which had seen Southampton and its industries heavily bombed. 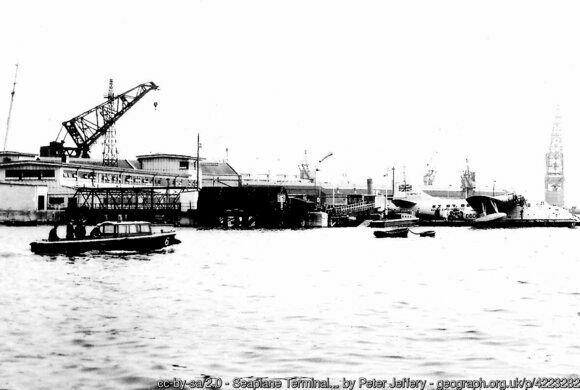 Unfortunately for the post-war developers of the Marine Air Terminal, despite Southampton having been one of the worlds largest flying boat hubs in the early 20th century, by 1948 that ship had sailed. 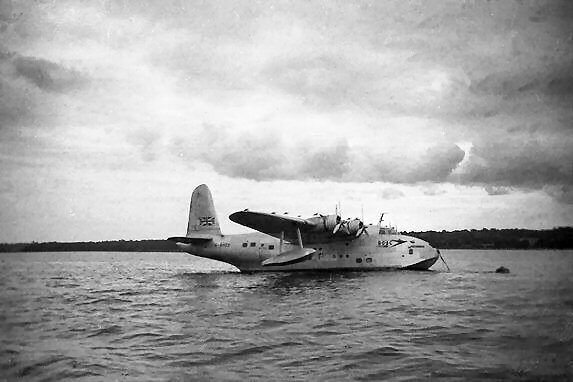 Just two years after the Marine Air Terminal opened, modernity had finally caught up with the idea of the commercial seaplane. Abandoned wartime airfields were being cheaply repurposed all over the world as regional commercial airports, and improvements in aerospace technology had improved flight times. BOAC, the successor to Imperial Airlines, invested in high-flying, modern jet aircraft with pressurized cabins and sold their fleet of opulent intercontinental flying boats to a now-defunct Southampton-based airline, Aquila. Aquila kept short haul services running to the mountainous Portuguese island of Madeira until 1958, when after only a decade in service, the once-glitzy and glamorous pontoons of the Marine Air Terminal were abandoned to the action of the estuary’s famous double high-tides and hidden from sight by the rapid development of this busy commercial port. 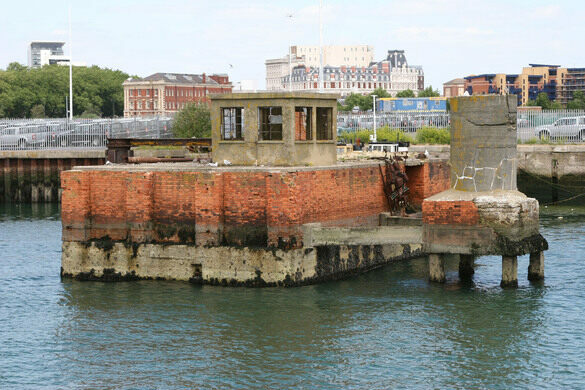 The ruins of the Marine Air Terminal are visible from a public car park at the end of Town Quay (at the seaward end of the High Street), close to the Isle of Wight car ferry terminus. 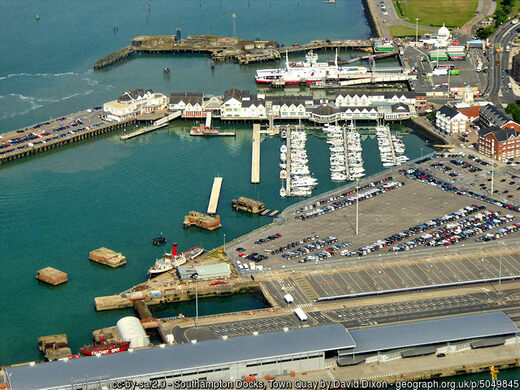 For an even better view, take the high-speed catamaran ferry service to the Isle of Wight. The Pontoons are clearly visible from this service as you leave Southampton. If sea-planes float your boat, the nearby Solent Sky Museum is worth visiting as it has a preserved Sandringham Flying Boat which you can still climb aboard. The world's oldest operational public pier railway has shuttled seagoing commuters from ship to shore since 1909. This unlikely memorial honors the Canadian and Portuguese laborers who felled trees for the Allies in World War I. An incredible airplane graveyard sits outside this small museum dedicated to preserving aviation history. A partial tunnel blasted into a steep ridge is all that remains of a failed railway across Arizona.